From its elegant stainless steel face to its durable strap, this Big Face silicone strap watch is easy to read and easy to wear. Large 1 3/4” dia. face and case back are quality crafted from classic stainless steel. The analog watch’s thick, textured 9” long silicone band with buckle resists odors and bacteria for all-day comfort in any weather. 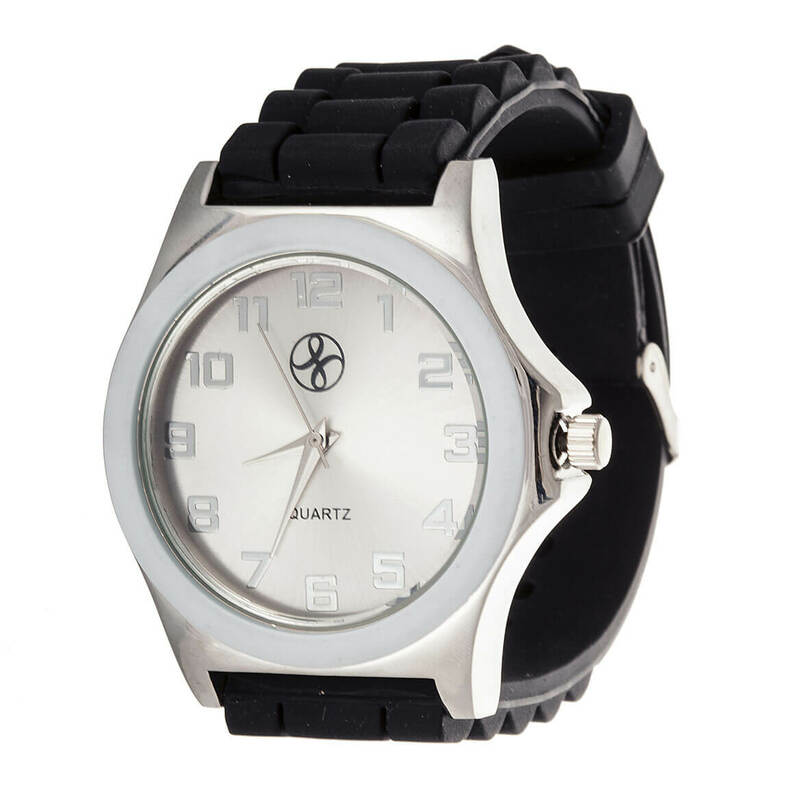 Perfect for men or women, this wrist watch makes a great gift! Compare at $24.99!